The peer-to-peer cryptocurrency that is Litecoin, is designed to serve as digital money after it was founded by Charlie Lee in October 2011 as a hard fork of Bitcoin and has been called the silver to Bitcoin’s gold. Despite Litecoin being one of the oldest cryptocurrencies in the space, the long term goals of the project have been questioned over the years. Technologies in the blockchain space are always improving, so their development is quite significant leaving Litecoin with a lot of competition. 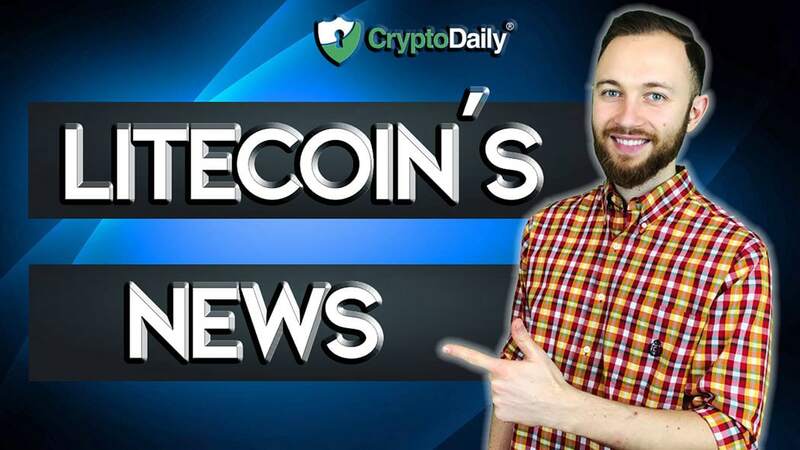 There are new and old cryptocurrencies that can offer better technological solutions and have bigger communities than Litecoin but the team behind LTC are one of the most experienced around. The team at Litecoin has targeted their focus on the active integration of technological innovations and its global adoption as a payment system to maintain and strengthen its position in the cryptocurrency markets. Without this work, they could lose a massive chunk of its market share and fall to the more advanced rivals. The main purpose of the cryptocurrency is to function as a worldwide payment system which allows users to send and receive, borderless and almost instant payments by slashing transactions costs. Litecoin covers a part of the digital global remittance and the contactless payment markets which are expected to grow significantly by 2025. It’s worth noting that the global remittance market is expected to reach just under $8.60 billion by 2025. In addition to this, the contactless payment market has been predicted to skyrocket to $801 billion by the same year. One of the first digital currencies in the blockchain space was Litecoin. People are able to both buy and sell the crypto through exchanges, over-the-counter markets and using ATMs. Furthermore, Litecoin has partners who have integrated Litecoin for bill payments. In essence, there are a significant number of platforms in which people can pay for goods and services with the Litecoin cryptocurrency. Due to the wide distribution of Litecoin, it can’t dominate the payment systems market because of the number of competitors that have technologies on a more advanced level. There are three main figureheads for Litecoin. One of which is Charlie Lee who is the managing director of the Litecoin Foundation. He founded the company in 2011 after graduating from MIT in Computer Science. Lee has more than 15 years of experience in software engineering and has been involved in the blockchain industry since founding the cryptocurrency. In addition to Lee, Franklyn Richards is one of the founding members of the cryptocurrency. Who took over operations for Litecoin.com in 2018. Xingi Wang is one of the other founding members who works as a core developer at Litecoin. Litecoin is a fork of Bitcoin which uses a PoW consensus module and the X11 hash algorithm. The distributed ledger technology functions in a similar way to Bitcoin but it has its own twists on it as well as technological adoptions. Even though technologies like SegWit, Atomic Swaps and LN have been integrated into the system, they don’t add anything of technological advancements to Litecoin in comparison to its competitors. On top of this, the leading cryptocurrency has also developed some of the same technologies. Monero and Stellar aim to build the LN on their blockchains too. Higher liquidity and lower transaction fees. Faster transactions – LTC generates a block every 2.5 minutes and can handle just under 60 transactions every second with it taking half an hour to confirm a transaction. It allows transfers to be made much faster than banks do. Furthermore, this technology allows for Atomic Swaps, it is a smart contract technology that allows users to trade between two digital currencies without using an exchange to go through. Moreover, Atomic Swaps can be completed off the chain too. Two years ago, the first atomic swap was completed between Litecoin and Decred.